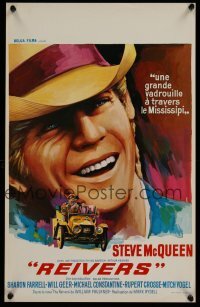 Another based on a Faulkner bomb — but at least this one starred Steve Mcqueen! This entry was posted in 1960s posters, 1970s posters, French movie posters and tagged bullitt, steve mcqueen, the reivers, william faulkner by russ. Bookmark the permalink. Sorry, but Faulkner’s THE REIVERS, his last novel, is NOT a “bomb.” Faulkner experts consider it one of his best and certainly most accessable books– and film adaptations! The film was shot on location in the area of Mississippi where it’s set and is a lovely, pleasant piece of entertainment. Steve McQueen is excellent. Those who haven’t seen it would do well to give it a try. 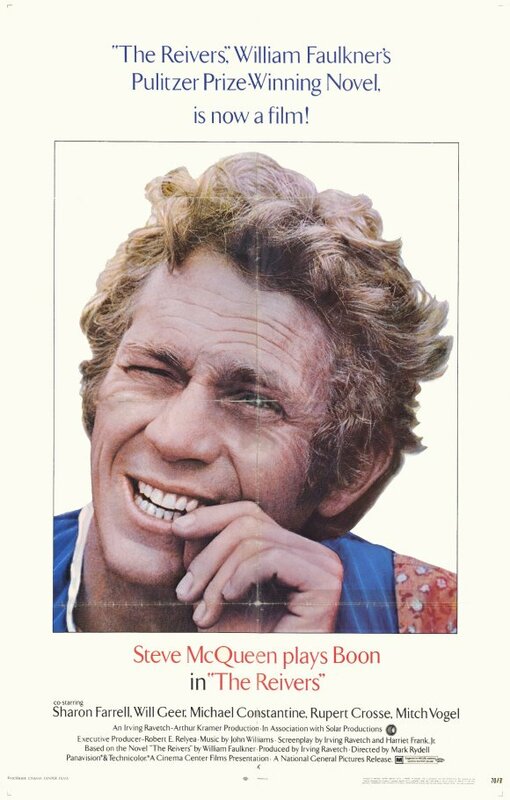 Okay, I guess “bomb” might’ve been an overstatement, but THE REIVERS just isn’t on my radar when I think of the top 5 (or even top 10) Steve McQueen films.